When the Korean and American governments announce that the military THAAD (Terminal High Altitude Area Defense) system is to be located in the rural county of Seongju, residents quickly become alarmed. As the local citizens begin researching the issue further they become increasingly politically aware, ultimately organising protests against THADD that continue to grow in strength and number. 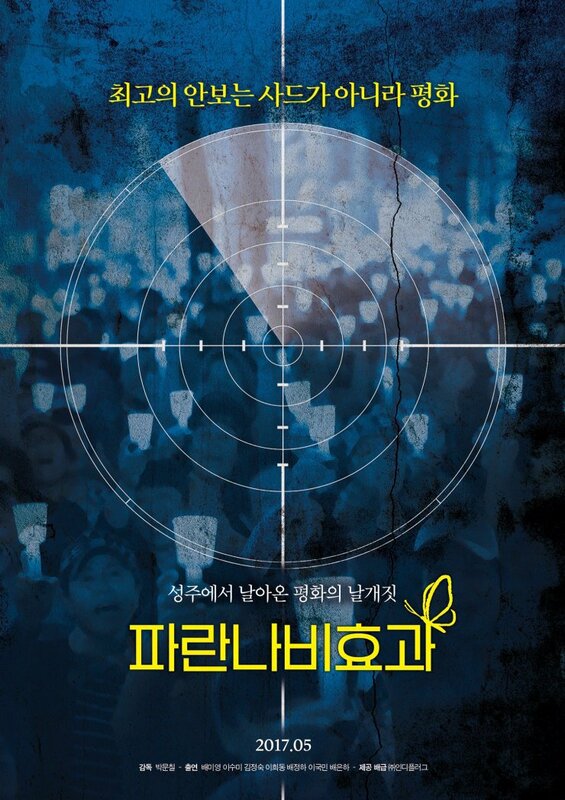 Blue Butterfly Effect (파란나비효과) documents the protests against THADD, from its grass-roots origins through to the nationwide coverage the issue generated. 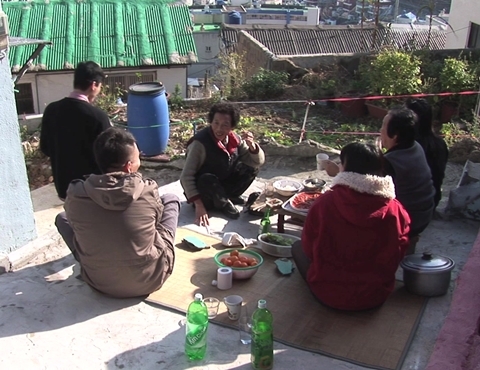 Director Park Moon-chil, who debuted with the wonderfully sensitive and empowering My Place (2013), returns with an inspiring tale of protest in Blue Butterfly Effect and in doing so cements his status as one of the best documentary filmmakers currently working in Korean cinema. Blue Butterfly Effect proves to be so engaging largely due to the central subjects at the core of the story, as housewives, farmers, seamstresses et al from the community come together to explain how they became aware of THADD, detailing the passion and outrage it generated that ultimately led to forming a protest movement. Such scenes are brilliantly executed, providing not only an informative piece on the nature of the issue but also an insightful commentary on protest culture within contemporary Korea. Director Park wisely goes beyond purely representing their opinions of THADD however, as he delves into the subjects’ voting habits, regional identity, and the increasing political and historical awareness each member experiences, unveiling acute character development. No matter how big the challenges over THADD become, the film never loses focus of the personal dimensions of the conflict, making the story an intimate portrait of nationwide debate and virtually demands audience investment. In documenting the manner in which the THADD protests and responses escalate, director Park goes where few filmmakers dare to tread in depicting the ‘dirty tricks’ employed by those in favour of the military technology. In presenting the ways local politicians change stance and ‘spin’ alternative narratives, the collusion between the government and big business, as well as featuring elitist prejudice – misogynistic comments, and the head of the Education Ministry’s comment that 99% of Koreans are “like dogs and pigs” – combine to produce a startling portrait of modern politics, one that taps into the zeitgeist of anti-conservatism sweeping the country following President Moon Jae-in’s inauguration. Blue Butterfly Effect is a powerful testament to the spirit of Korean people and the power of protest, as well as an important cultural text in its own right. Director Park Moon-chil again proves his talent as a documentarian to watch, for Blue Butterfly Effect is a film that, for current and future generations, and those interested in the politics of the peninsula, demands to be seen. The best kinds of documentary are the ones where the audience and those within the film itself undertake the same journey of discovery, sharing revelations and introspections about a particular topic that ultimately change the perspectives of those both sides of the camera. This is acutely the case with director Park Moon-chil’s My Place, a highly personal account of the director’s own family history and trauma. Director Park explores the inherently Korean cultural clashes of traditional ideology versus the contemporary, Western individualism contrasted with Eastern collectivism, as well as gender and family politics, all through the microcosm of his own family unit. Beginning with very traditional concerns over his unmarried sister’s pregnancy, the documentary charts how every member of the Park family is forced to re-examine themselves, their pasts, and their choices in order to welcome the new member into the fold. From beginning to end My Place is a heartwarming and illuminating film, thanks in no small part to the director’s wonderfully strong and charismatic sister who challenges familial and cultural issues head-on and emerges victorious. Director Park’s sister Peace is very much the heart and soul of My Place, and the documentary is largely centered around the ramifications of her decision to be a single mother. In Korean culture unwed mothers are heavily stigmatized, and the film begins by attempting to address her perceived irresponsibility and whether abortion is a viable option. Yet as director Park converses about the issue with his parents, he begins to re-evaluate his own understanding of his sisters character through considering their shared history, and by interviewing her about her past and the pregnancy. The technique is superb, as the non-judgmental approach allows for layers of psychology and past traumas to be re-examined, and how they impact the decisions of the present. For instance, the film explores how the siblings were born and raised in Toronto which allowed their individuality and creativity to be nurtured, yet their forced relocation back to Korea at a young age provided an enormous culture shock that was difficult to cope with; the director even noting that school assemblies reminded him of the Nazis. The impact was greatest on Peace however, and the home videos and photographs of her childhood authentically capture her fraught and difficult childhood. Director Park also applies such frameworks to his mother and father, and in doing so discovers more about what drove them in their youth and what shaped their decision-making processes so long ago. With the revelations of Peace’s unhappy childhood it would be all too easy to blame his parents, and while they indeed acknowledge responsibility for their choices, delving into their history stops the issue from being simple. Such scenes are brilliantly edited within the documentary not only for their seamlessness, but the constantly compelling revelations regarding his parents inspires audience introspection. Each member of the Park household is a fascinating person forged by history, and the loving care that director Park exhibits when filming them is palpable. This particularly applies in regard to Peace, as the directors respect and admiration for his sister clearly grows and develops during the course of the film. Ironically what forces the family to re-evaluate themselves is the very thing that causes them worry – Peace’s pregnancy. And when her son Soul is born, witnessing the family gathering together and become stronger than ever is extremely poignant. Director Park charts the very early years of Soul’s life in similarly effective style, exploring how each member attempts to find a role in which to provide help and support, and the results are consistently moving, humourous and entertaining. Watching Peace working hard as a single mother, and Soul as he develops a personality of his own, is powerfully absorbing and captured with tenderness and sensitivity. One such scene involves Soul and his grandfather reading a storybook together, and the attempt to bestow morality lessons on the youngster is a beautifully funny moment. Director Park – and the audience – come to realise that the initial concerns over Peace’s pregnancy were unfounded, and that the strength and resilience she exhibits as a single mother are incredibly admirable. As such, My Place is emblematic of changing cultural attitudes, and is a wonderful testament to the love and bonds shared within the family. 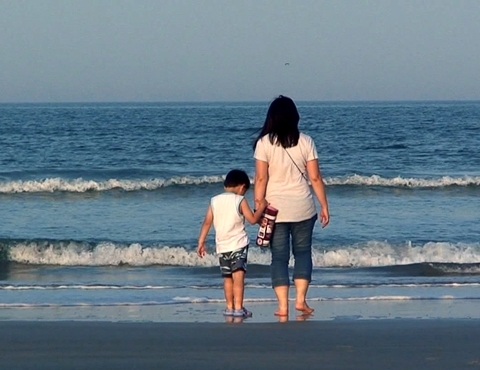 My Place is a funny, enlightening, and wonderful documentary about the importance of family. By using his unwed sisters pregnancy as a catalyst, director Park Moon-chil uses his concerns as a springboard in which to explore the history and psychology of his mother, father, and most predominantly his sister Peace. In doing so director Park shares his revelations and changing attitudes with the audience, with each step constantly compelling as the family attempt to heal past traumas in order to welcome the new baby. A superb and lovely documentary. Director Kim Tae-yong’s (김태용) You Are More Than Beautiful is a wonderfully charismatic short film, due wholly to the performance of Gong Hyo-jin (공효진). The story involves Jeju Islander – and singleton – Cheol-su, who returns to the island upon hearing that his elderly father is seriously ill. To ease his father’s suffering Cheol-su hires actress Young-hee (Gong) to play the role of his fiancee, so that he may leave this world without worrying about his son. While it certainly sounds like weighty subject matter, Gong’s charisma and grace elevate the film into a heartfelt comedy-drama as her playful personality turns all forms of negativity into keen optimism. Indeed, her rendition of traditional Korean opera is poignantly moving and uplifting, emphasising her caliber as an actress. As one of the few directors in contemporary Korea cinema featuring women in prominent roles, Kim Tae-yong does incredibly well in simply allowing Gong to act, while his vision captures the Jeju scenery beautifully. A lovely short film. Having already seen My Place at the Jeonju International Film Festival, could director Park Moon-chil’s (박문칠) documentary have the same resonance on a repeated viewing? Absolutely. Experiencing director Park’s evolving perspective on his family is consistently compelling and entertaining, as he changes from a man worried about his sister’s out-of-wedlock pregnancy to a man who comes to admire her strength of character. The personal family trauma that he places on screen is sincere and poignant, and director Park never shies away from the more difficult – and defining – periods from their history. He balances the representation of each family member incredibly well, simultaneously caring yet objective, allowing for each person to openly convey their psychology. An excellent documentary about family hardship and the desire to set things right. 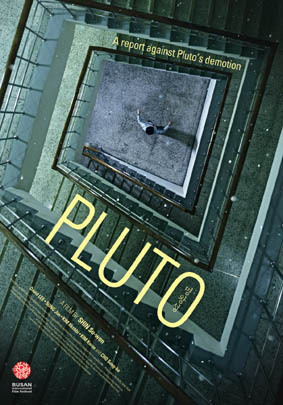 Pluto is, quite simply, an excellent film. Director Shin Su-won’s (신수원) second feature length film is a brilliant exploration of the enormous pressure students experience within the Korean education system, and how the competitive nature to join a prestigious university forges a psychologically unbalanced generation. Director Shin’s vision shines throughout with some truly wonderful shots and compositions, articulating the fragile mental states of the protagonists by featuring superb use of the mise-en-scene. Some critics took issue with manner in which the film changes tone from high school drama to cop thriller, yet while the point is valid the evolving aesthetics and conventions do nothing to dampen the power of the story. In fact in doing so, the potency of the drama is elevated as adult institutions are held accountable, while the inclusion of thriller conventions should guarantee a more mainstream appeal. A powerful drama with an important social message, Pluto is certainly one of the best films of the year and it will very interesting to see audience reaction when it’s released nationwide in July. The 14th Jeonju International Film Festival is almost upon us, kicking off on the 25th of April and running for a week through to the 3rd of May. After the huge controversies surrounding the festival last year, JIFF is reinventing itself with new programmers and staff as well as holding additional events due to take place nearby. 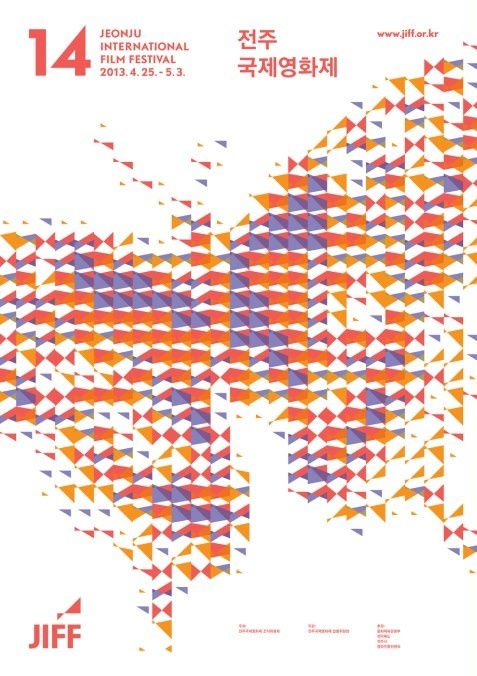 As always JIFF will screen a great variety of film talent focusing specifically on the independent sector. Opening with the joint French/Canadian film Fox Fire (폭스파이어) by director Laurent Cantet, a host of new film-making talent will be on display until closing film Wajida (와즈다), by Saudi Arabian director Haifaa Al Mansour, is screened. For the full list of films being shown at JIFF 2013 please follow the link provided here, which amongst other things features a wonderful focus on Indian films in a category titled ‘Beyond Bollywood’. Yet as Hanguk Yeonghwa is concerned with Korean films specifically, here’s a rundown of the ten ‘Korean Films in Competition’. Synopsis: 51+ explores the lives of musicians who perform in the famous Hongdae area of Seoul, a hotspot for indie bands and emerging talent. Yet as the area has become more popular and big businesses have moved in, aspiring musicians are forced out and must take opportunities where they can. 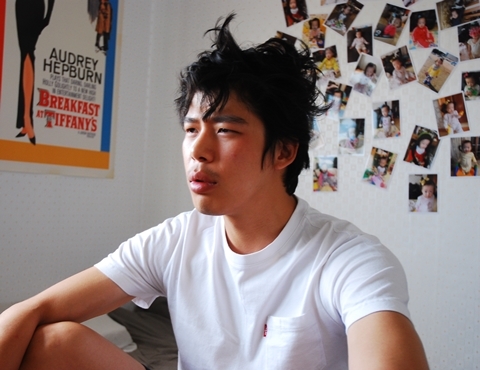 Synopsis: The film follows Byeong-heon, a young aspiring film-maker who endures seemingly constant disappointment as he attempts to establish himself. The film purports to be something of an amalgamation of docu- and mockumentary set in the film world. Synopsis: Dancing Woman is an omnibus comprised of a variety of different genres and themes. Apparently, the film employs modern dance techniques during each narrative, and looks to be an interesting experimental piece. Synopsis: December (디셈버) is an exploration of relationships and how they shift and change over time. At 73 minutes it’s quite short for a feature, yet as one of the few films focusing primarily on relationships it could be one of the more interesting dramatic films at the festival. Synopsis: The description of Echo of Dragon is quite ambiguous, even labelled as a ‘peculiar drama’. With it’s off-the-wall themes – including repressed desires – and ‘twisted’ imagery, the film has the potential to be a boundary-pushing wildcard. 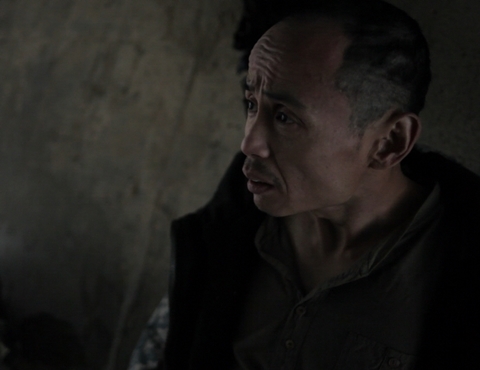 Synopsis: The human rights orientated Grandma-Cement Garden explores the forced relocation of elderly citizens in Busan. Their trials, lifestyles and memories are portrayed until their inevitable move, and as such could be a success with its political scandal/human interest angle. 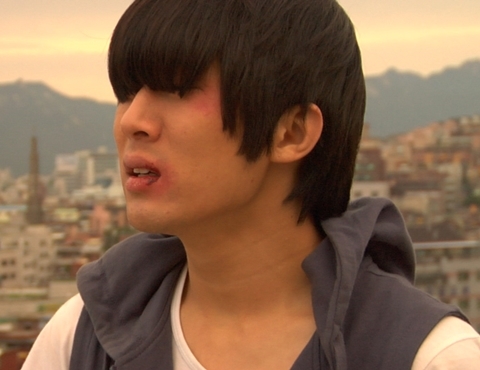 Synopsis: Groggy Summer is concerned with the pressures of Korean society, and their impact on a creative wannabe poet. The dissection of culture and pressure on Korean youth is an intriguing and timely premise, and could tap into cultural anxieties. Synopsis: The description of Lebanon Emotion is incredibly vague, but it appears to be an exploration of a variety of human emotions that occur in different situations. Director Jung has helmed several short films during his career, so it will be interesting to see what he achieves with feature length material. Synopsis: My Place is an interrogation of the differences between contemporary and traditional Korea, focusing on one particular family unit. The ideological differences between generations isn’t particularly original, yet as single-motherhood forms part of the film it could signal a fresh approach on the subject.